Your adventure is about to begin! 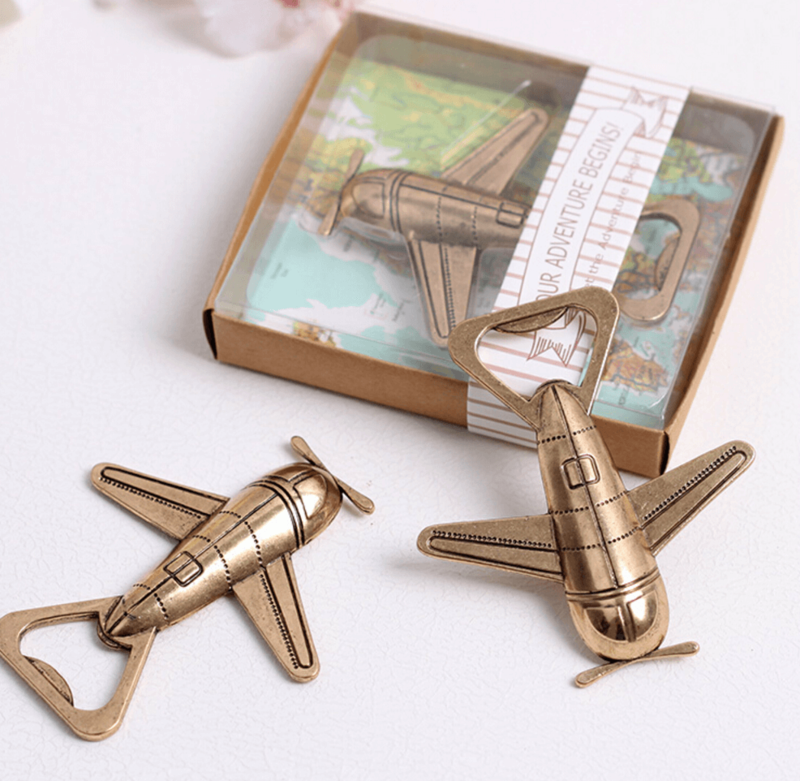 While you’re flying high, make sure you’re commemorating all of life’s memorable moments with this beautifully detailed “Let the Adventure Begin” Airplane Bottle Opener, featuring a vintage antique bronze finish and charming airplane design. 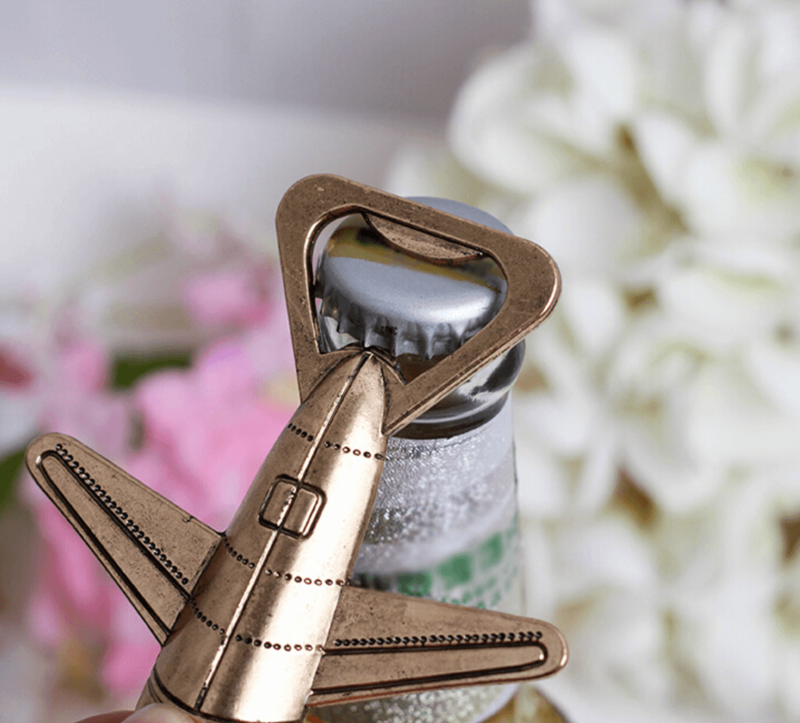 Hurry, before this bottle opener favour flies away for good!
. 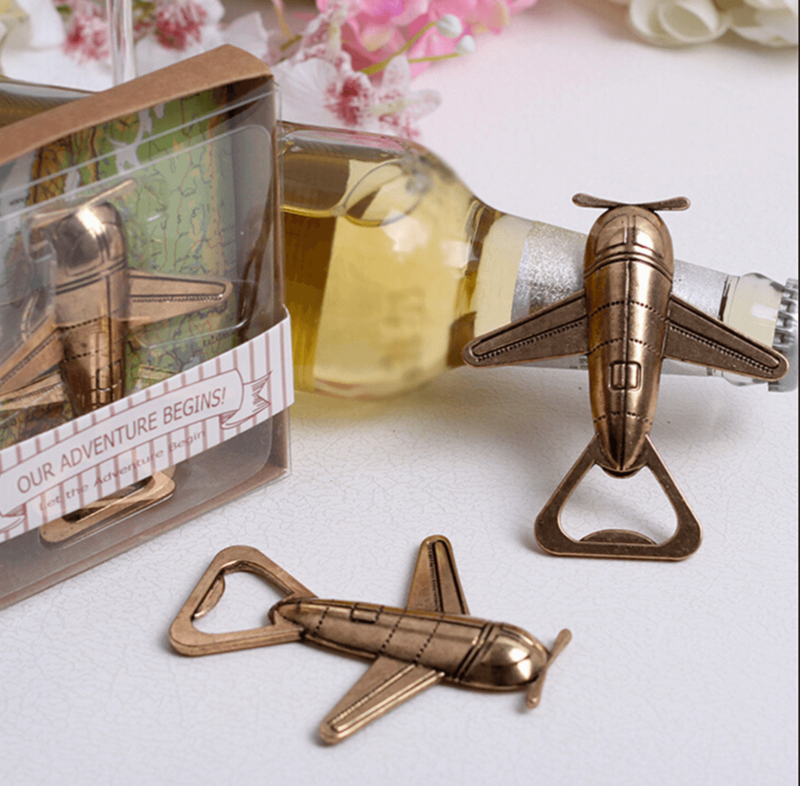 Beautiful metal airplane bottle opener favour with antique bronze finish.